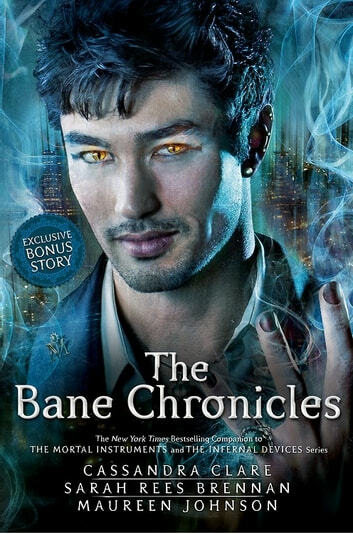 The Bane Chronicles follows the adventures of immortal warlock Magnus Bane, a fan-favourite character from The Mortal Instruments and The Infernal Devices series. 10 stories about immortal warlock Magnus Bane have been brought together for the first time, along with a bonus never-before-seen tale and comic-strip illustrations. A fan-favourite character from Cassandra Clare's Shadowhunter Chronicles, Magnus features in The Mortal Instruments, The Infernal Devices, Tales from the Shadowhunter Academy and the movie of City of Bones. Magnus will never be able to tell all of his tales. No one would believe him. But these stories shed a little light on his often inscrutable character. They are stories he probably wishes had never got out. I loved the Mortal Instrument series and enjoyed reading more about Magnus and his adventures. This series of short stories was a great read!